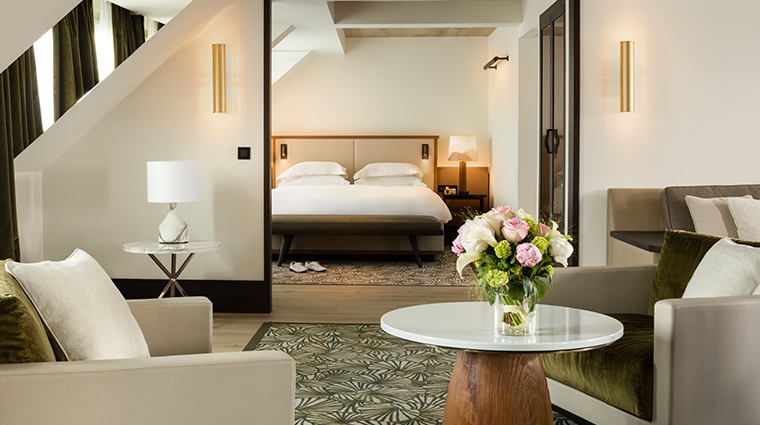 With an enviable location within the 8th Arrondissement, Hyatt Paris Madeleine is poised to impress visitors who are looking to indulge in what Paris is known for — incredible shopping, cultural sites and destination restaurants. 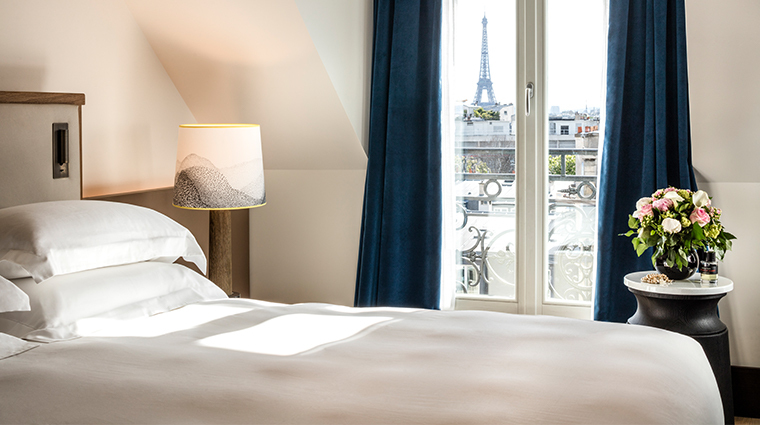 Its namesake neighborhood, Madeleine, is the historic heart of the city and you can simply walk to the Louvre, the Paris Opera House and Champs-Élysées in just a few minutes. 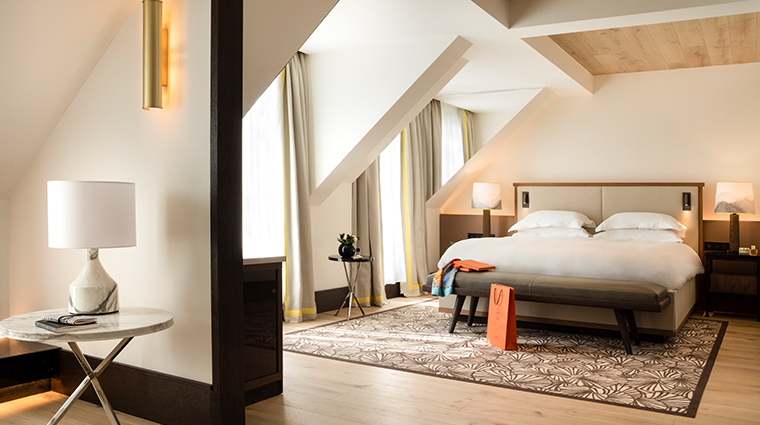 Its small size means the boutique hotel treats you warmly and personably while you explore the two onsite restaurants, spa facilities and well-appointed, contemporary rooms. 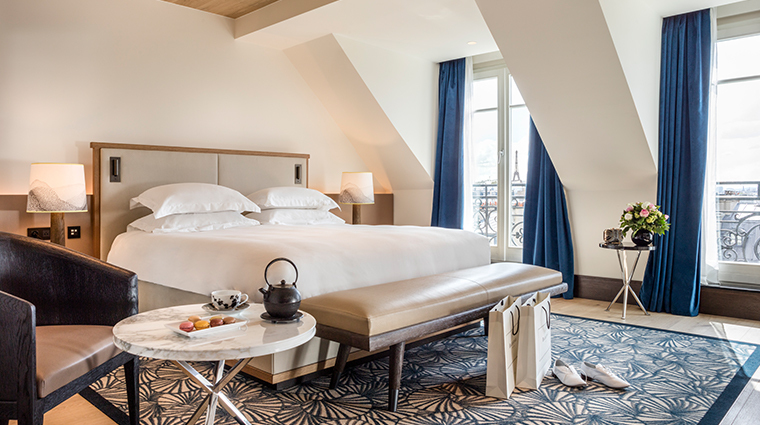 Whether you intend to spend your time exploring the City of Light or relaxing onsite, Hyatt Paris Madeleine offers a destination for every Parisian visitor. 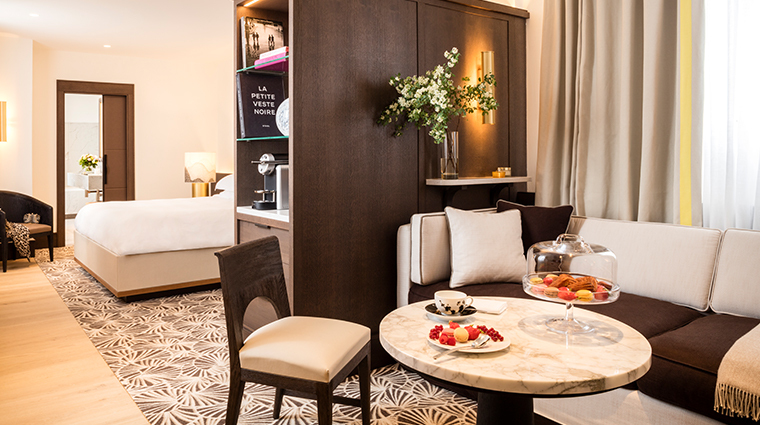 Hyatt Paris Madeleine’s home in the 8th Arrondissment allows guests easy access to the best of what the city offers: food, sightseeing and of course, shopping. But the property’s onsite offerings will satisfy visitors desire for a comfortable home-base. A dedicated outdoor space on the seventh floor is host to an active beehive and the hotel’s chef incorporates the house-made honey into his dishes and desserts, including a rose sorbet honey mousse. The hotel’s restaurant once held literary brunches where French authors would discuss his or her latest book, and each author would leave a signed tea box for the restaurant’s shelves. There are a good number of these collectibles signed by the visiting authors on display. On the ground level, there are five meeting rooms with walls featuring glass-encased cubbies that display jewelry from the luxury retail shops on nearby Rue Saint-Honoré. The boutique hotel’s concierge can recommend the best walking route to nearby sights such as the Paris Opéra Garnier and Place de la Madeleine. A guest-only hammam, sauna and fitness room is located in the basement of the Paris hotel and it is open around the clock. 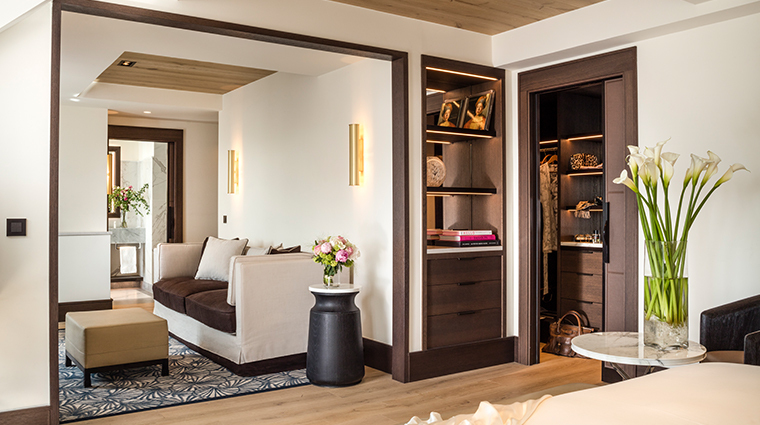 The basement relaxation room is a perfect spot to enjoy a short nap and a never-ending supply of water and tea before spa treatments—ranging from massages and facials to foot reflexology and pedicures. Guest rooms with high ceilings and large picture windows are decorated in light, neutral tones and simple, sophisticated furnishings. You will find ample closet space, soundproofed windows, iPod docking stations, free Wi-Fi, air conditioning and marble bathrooms. 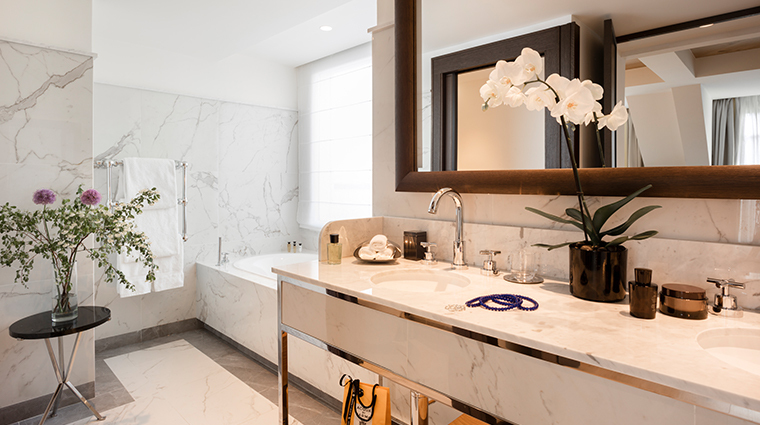 Suite bathrooms are large with walk-in marble rain showers and separate freestanding tubs. 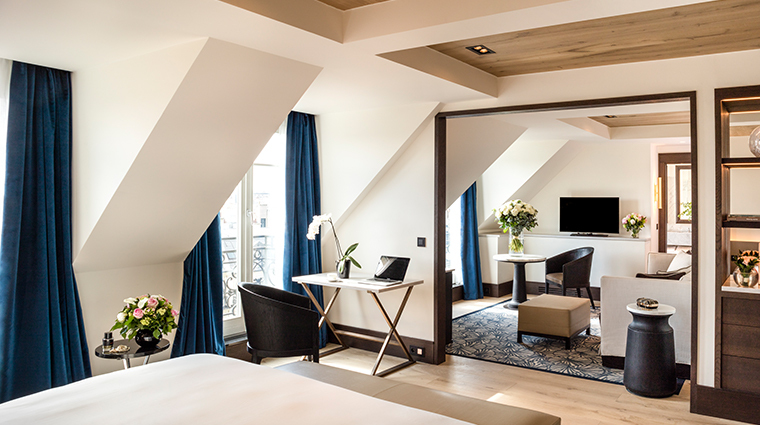 The Presidential Suite on the seventh floor has a private terrace with views of the Opera Garnier, Parisian rooftops and the Eiffel Tower. 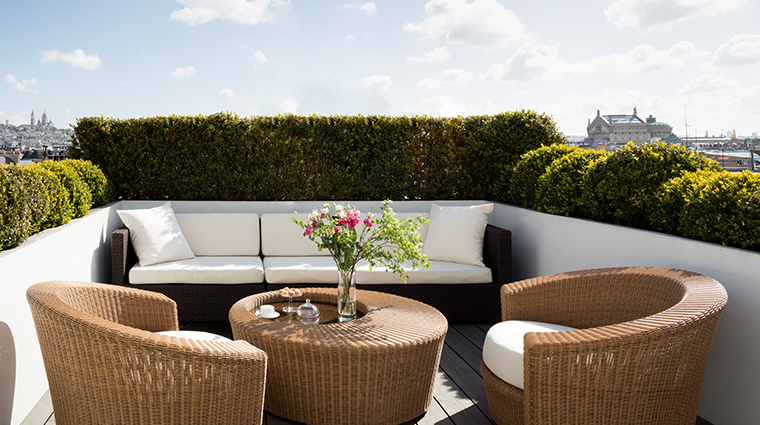 The 1,076-square-foot new Parisian Suites have panoramas of the Eiffel Tower, Montmartre and more and their own terraces. They also come with spacious living rooms. 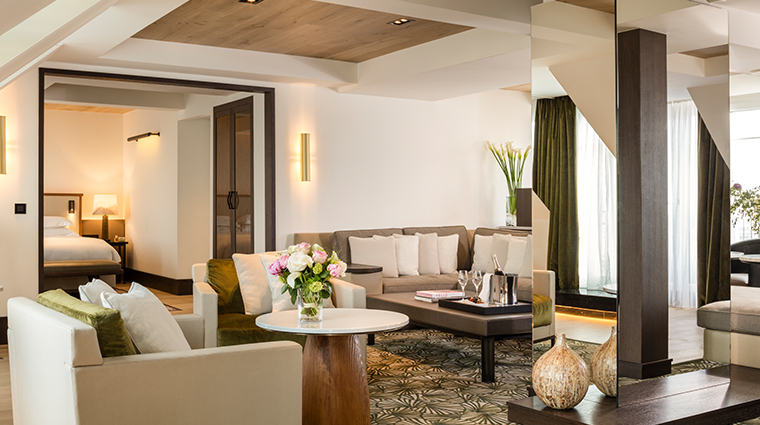 A number of contemporary, comfortable sofas sets the stage for a relaxing and intimate breakfast, lunch or dinner at Café M.
At Café M, chef Simon Havage focuses on fresh, seasonal French cuisine that's influenced by his travels throughout the world. The Hyatt offers a family brunch on Sundays. While parents enjoy their meal, their children will learn how to bake pastries with a pastry chef from Chez Bogato. 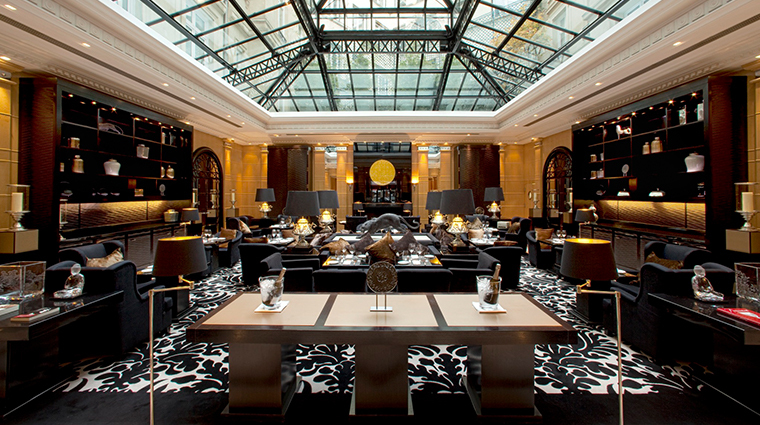 La Chinoiserie is a cozy place under a glass roof from the workshop of Gustave Eiffel. It attracts locals who enjoy a quiet cocktail bar.